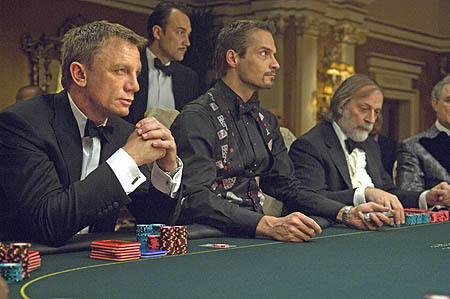 Doubting that their money will be safe, a lot of gamblers hesitate to start playing in online casinos. We`ll give you detailed information on account and information security for you to decide if online casinos are trustworthy enough. The issue of making and storing deposits, as well as withdrawing money has always been the most topical in online gambling. If online casinos couldn`t secure safety of players` money, no one would trust them. However, over the last years casinos have made major advances in this sphere. So it`s almost impossible to steal money from online casino accounts. All account and personal data is stored on casino servers, with only few senior managers having access to them. Access to the system is strictly monitored by security service around the clock. The issue of money security while transferring it on the Internet is still topical for many players. In fact, swindlers may intercept data but they won`t be able to use it. It is transferred encoded, with only few casino employers being able to decode it. Called Secure Sockets Layer (SSL), such protocols are continually updated, which improves data safety. To provide evidence of their high level of protection, casinos invite independent auditing authorities agencies, which issue certificates of conformity to the requirements of safety. Verisign and Thawte are two major certificate authorities. Although Thawte is owned by Verisign, it operates independently. These certificates are the best proof that a casino provides the highest level of all user data security. An SSL certificate is a globally recognized certificate issued by Thawte. Having 40% of the market share, Thawte operates in different spheres, including safety of credit cards and bank account data. SSL Certificate is a code stored on a casino server. It secures a safe data transfer via the Internet, providing a codified connection between a user PC and a casino website. SSL certification includes three levels. All of them are compatible with the most popular browsers but provide different levels of user identification. The most extended and reliable, the third level is advisable for online casinos. Every time you enter a casino website, an address bar is colored green and gives the company name.